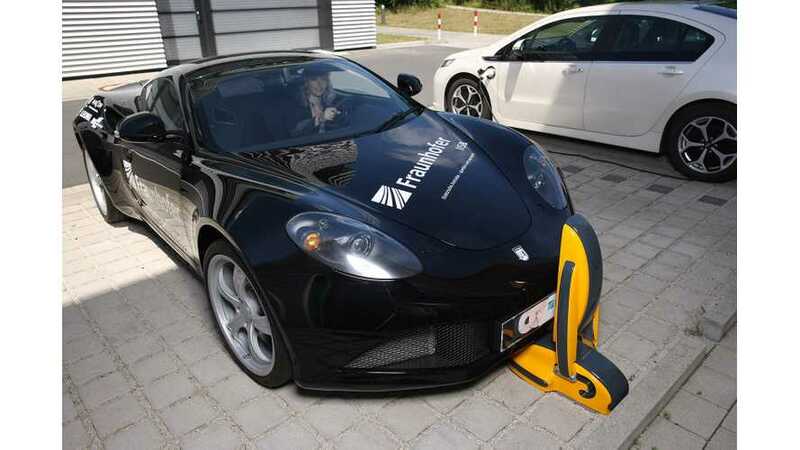 The Fraunhofer Institute for Integrated Systems and Device Technology IISB in Erlangen, Germany recently presented an interesting new concept on wireless charging. Instead of the typical pad on the ground, IISB developed a vertical unit and an on-board adapter for under the front license plate. But why go vertical? Because the air-gap is smaller then, which enables use of smaller, less expensive coils and increases the efficiency. The yellow prototype on the photo has 3 kW and 95% efficiency, but IISB is already working on more power. "Researchers from the scientific and industrial communities have been working for several years to find ways to use induction to charge electric vehicles. 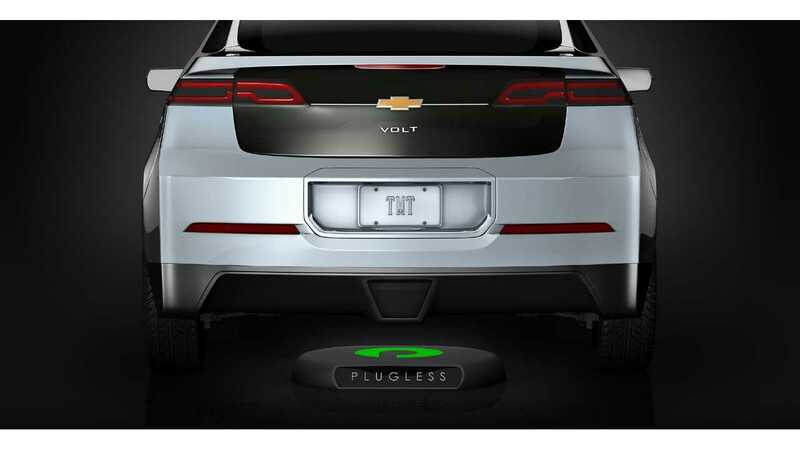 The current approach involves mounting induction coils on the underside of the vehicle and installing charging stations in the ground. But this brings with it a number of significant challenges. The coils need to be very powerful for the method to work because of the significant gap of up to 15 cm between car and ground. Powerful coils are large in size – and large coils are expensive, which pushes up costs. There is also the problem of objects or animals impeding the charging process by blocking the transmission of power. Cats, for example, are attracted by the gentle warmth emitted from the charging station in the ground, and so see this as a comfortable resting place. Another particularly problematic issue is that metallic paper such as chewing-gum wrappers or cigarette packaging can blow under the car and into the induction zone, where it can get so hot that it bursts into flame." Out first thought is that car could hit this thing while parking, but the primary coil is in a plastic housing and the charging column bends backwards if pushed by the vehicle. "Researchers at the IISB began pursuing an alternative approach in a bid to resolve these problems. Working as part of the Energie Campus Nürnberg research platform it took them less than a year to develop a system for charging electric vehicles from the front end (http://www.encn.de). Since this allows the car to be driven much closer to the induction source – essentially touching it – the coils themselves are much smaller in diameter than in the floor-based version, coming in at 10 instead of 80 cm across. The system is more efficient, more cost-effective and makes it less probable that obstacles will disrupt the flow of energy. The charging column is approximately waist-high and made of plastic. It bends backwards if pushed by the vehicle, and is even designed to flip down and out the way if the pressure applied is too strong. “The car could drive over it if necessary. Touching the charging station causes no damage to the car body,” says Eckardt. The coils are arranged in such a way that charging can take place even if the driver has not positioned the vehicle exactly in front of and centrally to the column. Clusters of coils that overlap vertically in the column and horizontally behind the license plate allow the current to flow irrespective of the vehicle’s size or height."